English Friday's theme for this week is Which Sport Do You Choose. You can click the link to read more information about the challenge. I love doing sport activities, that's why the theme is pretty interesting for me. But, I think any people don't like to do some sport activities. They are lazy or just don't like it without a specific reason. If you knew me from years ago, you could find me in every sport match in my college. People sometimes only admire how I can consistently exercise, but they don't want to know why I like to do it. I want to share how I love to exercise regularly in this challenge. I hope the information from me can be useful. If you think that you hardly need to exercise, you'll get more spirit to do it. I knew any people already think that they need to exercise, but they don't do it. Please don't wait until you feel unhealthy to exercise. Do you ever see a young man who had a heart attack? I did. That's why I don't want to be one of a young woman who had a severe disease. Please find your very own reason that can encourage you to move yourself in an exercise. Better to prevent than to cure a disease. Remember that you exercise to be healthy, not to get a perfect body shape. The main reason why I am regularly running is my bad immune. I have plenty allergies. I really annoyed with my allergies. I maintain my everyday meal. I have to eat fruit or vegetables every day to keep the nutrition enough for my body needs. I also have to keep myself enough sleep every night. Yeah, you can say that the allergy made me have a healthy lifestyle. Maintaining those habit doesn't make me free from allergies. My doctor said that I have to do some sport activities. He didn't mention a specific sport activity, he suggest me to do any kind of sport that can make me sweat. Running is the easiest way to increase my immune system. It doesn't need to accompany by another person or a specific equipment. It's free of any costs. Sometimes the reason of the laziness to do this easiest sport activity is because afraid to run alone. If we wait for another person action for us, we'll never do anything. So, just do it on your own, for yourself. The advantages will come to you, not for others. Feel the difference in our body when we run regularly. We'll be more fresh and fit to endure all day long activities. You'll belong to run again because you feel something is missing when you didn't run. I do everything on purposes. I don't run only for my health. Although running alone, I compete with my friends in nike apps. When I saw my friends run distance, I would envy and want to overtake their mileage. I only can reach 1 or 2 kilometres when I had just began to run. After seeing my friends daily mileages, I thought that I could reach the same distance. It was easy for me to reach 3k and 5k after regularly run. I feel satisfied when I could reach my own distance target. I still run regularly after moving here. In 2014, I joined many run competitions. My farthest distance is 10k. The competition can help you to reach unreasonable distance that will make you proud after you reach it. You can set a target for yourself with a reward that you like. 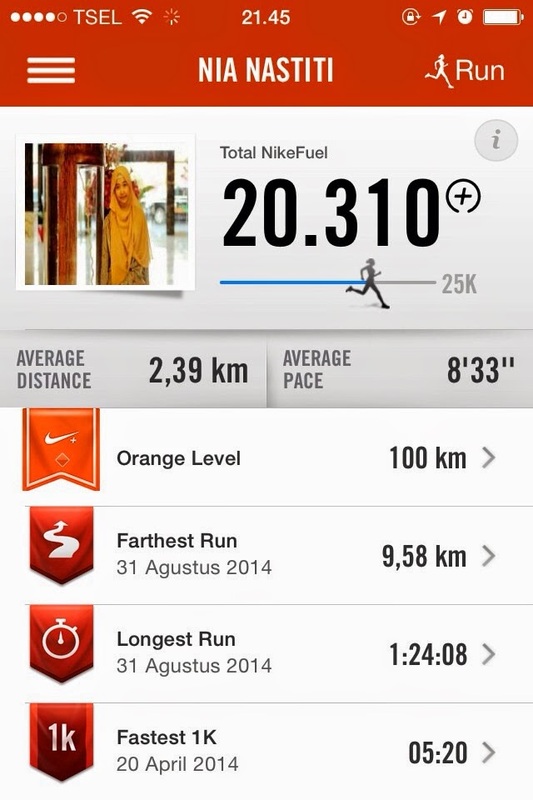 Here is my nike-run activity, I want to reach the green level. I didn't join any competition again recently. It was not good for my body to be forced to reach a long distance. 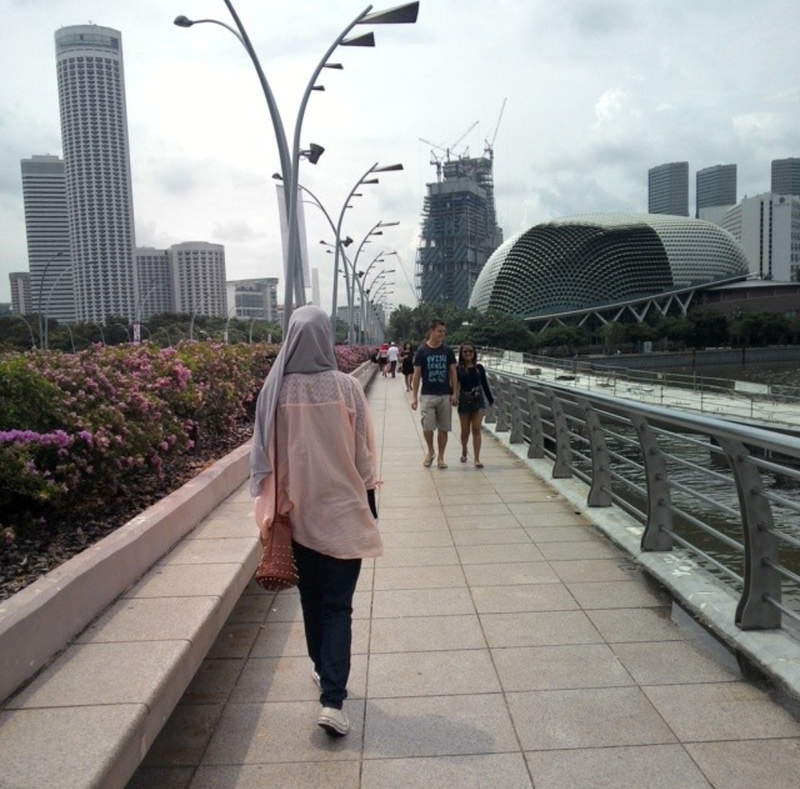 Five kilometres is my limit. Since I have a bad immune, I only need to run in short distance. My regular run distance is two kilometres. Sport is not only about competition or target. If you think that running is boring, you can choose a sport game such as basketball, volleyball, futsal, soccer or badminton. I can play basketball, volleyball and badminton. 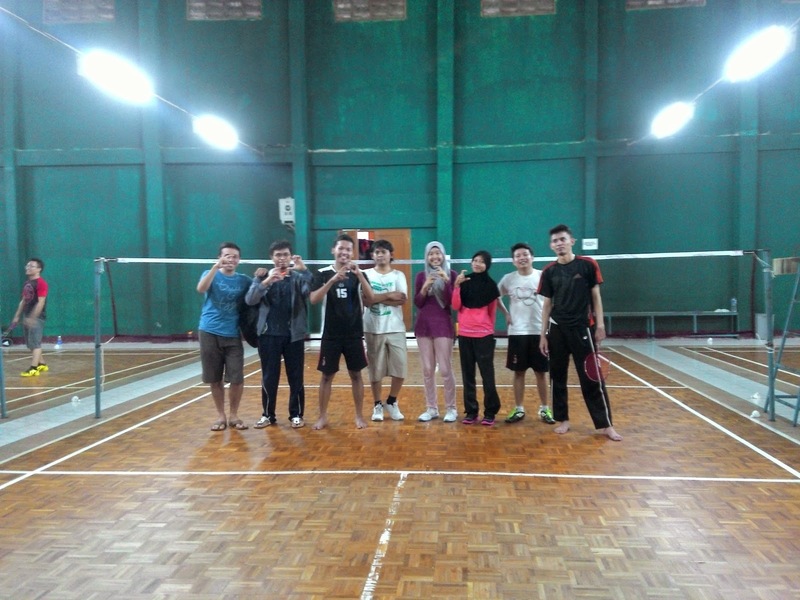 I am regularly playing badminton with my classmates every one or two weeks. I play basketball and volleyball only at a sport competition represents my major in college. I didn't need to give an extra effort in these sport games. That's why I can't swim until now because I have to spare a special time and outfit. Although I can't swim, I really love snorkelling and easily can do it in every beach with the beautiful fish and coral reef. Back to topic, you can do a sport game with your friends. That's why the game become very interesting. You can meet your friends, laughing and being healthy together with them without worrying your sport's skill.